*This rate is non-refundable, requires full prepayment, and is charged to your credit card at the time of booking. Subject to availability. Cannot be combined with any other offer. All reservations are fully pre-paid, non-changeable, non-cancelable and nonrefundable. Date modifications are not accepted. 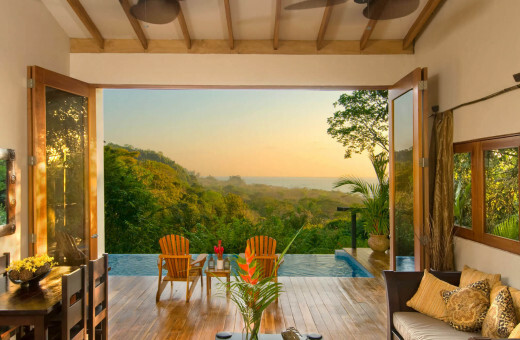 Mal Pais is an adults-only retreat tucked away in the jungle of Costa Rica. Nestled between surf-destination Santa Teresa to the north and the Cabo Blanco Nature Preserve to the south, Mal Pais is quaint, tranquil, and gorgeous. Santa Teresa has seen a recent influx in restaurants and businesses, while Mal Pais itself, where your Casa Chameleon villa is located, remains as it has been for years. Costa Rican Blue Zones are alive and thriving.